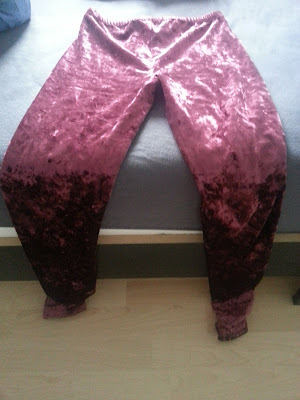 Something every girl needs (in my girlfriends opinion, but I love it also) is a velvet leggings, for example this one found at Monki Clothing in Hamburg (Mönckebergstraße). Sarah weared it yesterday with the rivet pullover. I don't have a pic, but it looked great.